UAH-ATN offers turn-key ISO 9001, TS-16949, AS-9100 and ISO-13485 assistance, from assessing your company’s current quality system through the registration process. Implementation and Training include: Gap Analysis; Overview Training; Manual, Procedure, Work Instructions and Form development; specific QMS Overview Training; Internal Auditor Training; conducting/leading Internal Audits, Transitioning to latest standard revision; and Management Review development. Standard implementation focuses on the requirements to maximize effective internal audits for factual decision making and continuous improvement. 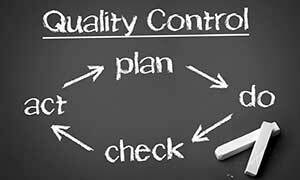 For more information about Quality Services, contact us at 256.824.LEAN(5326). View UAH-ATN Training Cancellation Policy.